The 38th bridge in the series documenting the 60 bridges built by the Long Island Motor Parkway is the Westbury Road Bridge in my childhood hometown East Meadow. 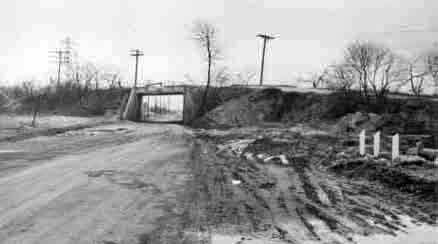 It is classified as a "parkway" bridge since the Motor Parkway went over Westbury Road (now called Old Westbury Road). One of the original 16 Motor Parkway bridges built for the 1908 Vanderbilt Cup Race, the construction of this bridge was well-documented. The bridge was designated as station 205.0 . A close-up shows the photogrpher's assistant was driving a Buick. 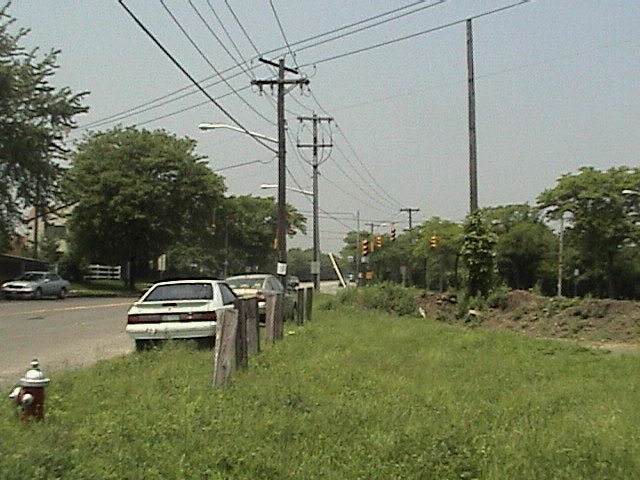 Note the telegraph poles lining the Central branch of the Long Island Rilroad on the left. 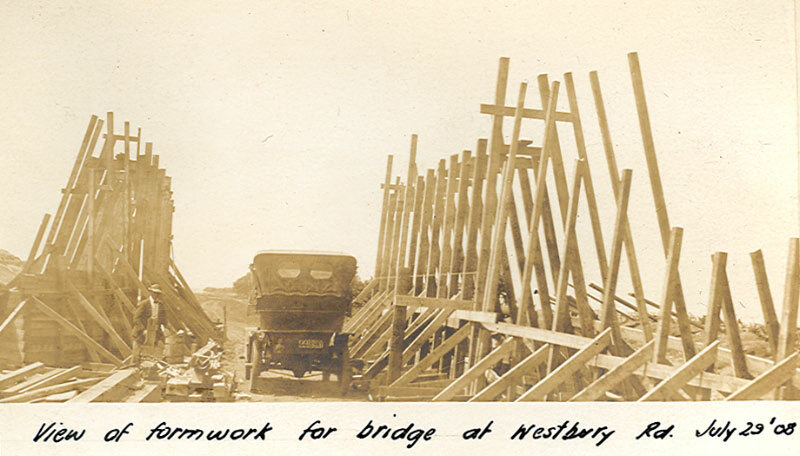 This close-up of the photo shows the Carman Avenue Bridge in the background. 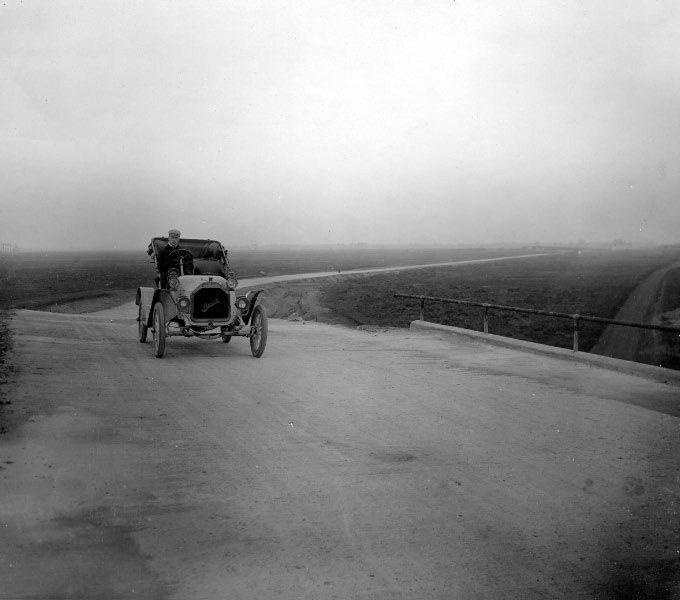 William Knipper was seen here driving the #7 Chalmers on the Westbury Road Bridge. 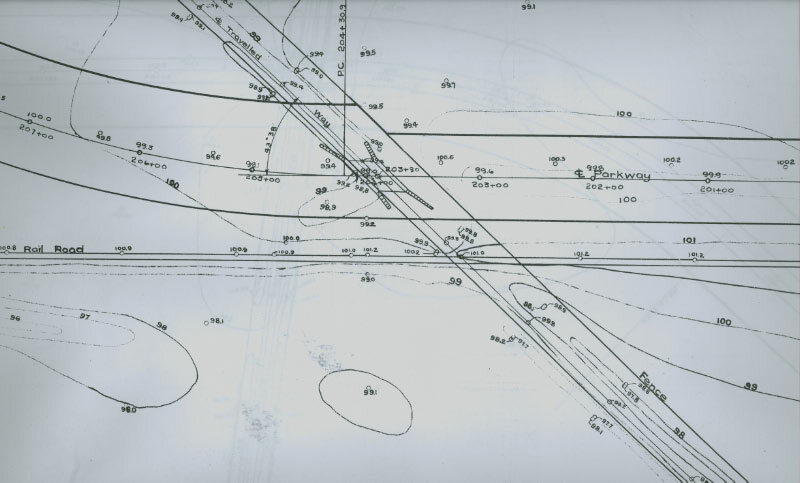 Note the rail of the Long Island Railroad on the left. The property just to the west of the bridge was purchased from theheirs of A.T. Stewart. 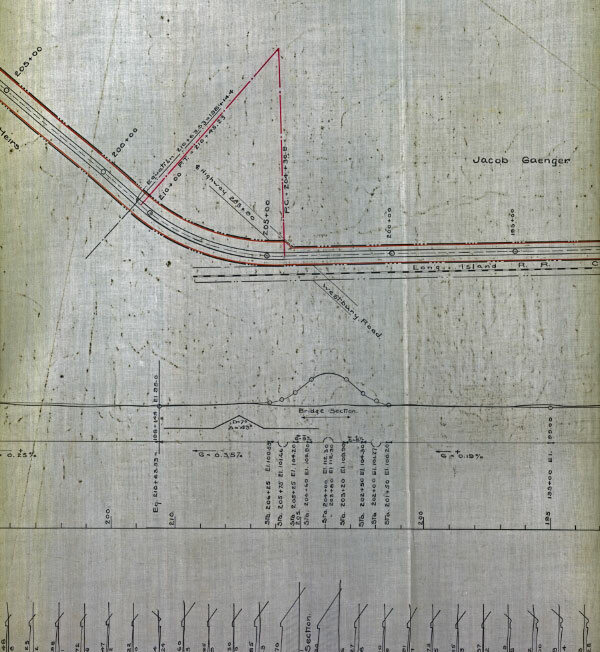 The property to the east was purchased from Jacob Gaenger. 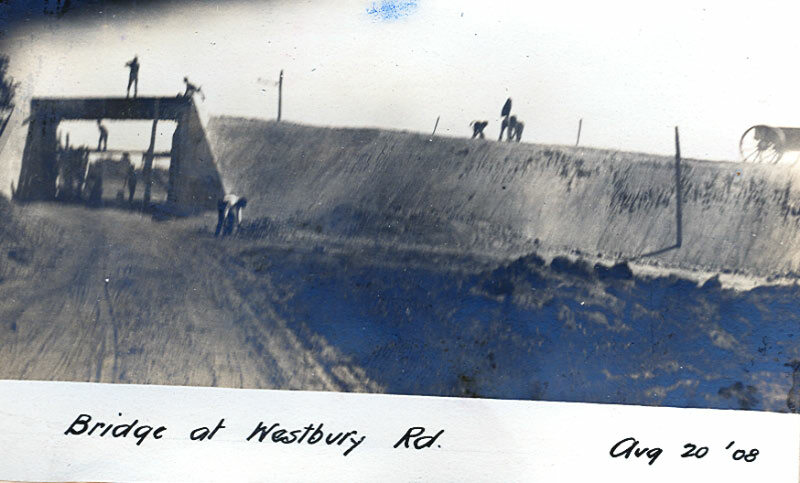 The bridge was still standing in the 1950s carrying Salisbury Park Drive over Westbury Road. 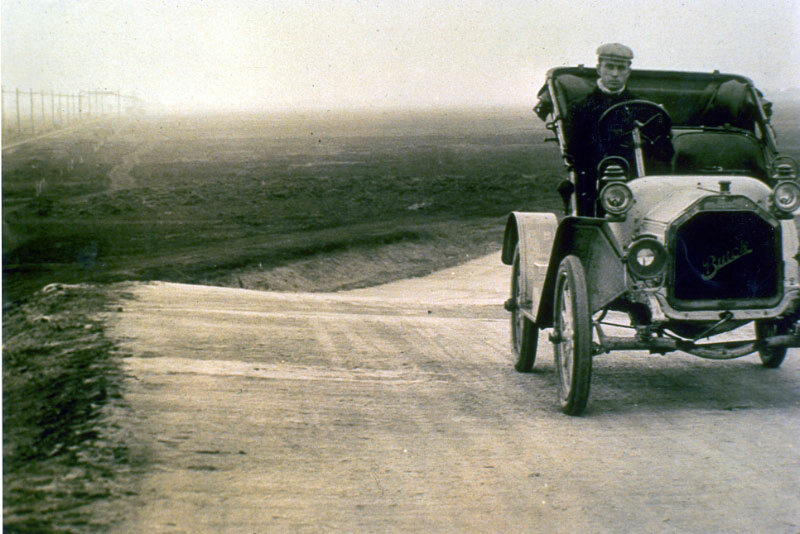 Note his photo matches the 1908 construction photo. By 2003, the bridge was long gone. 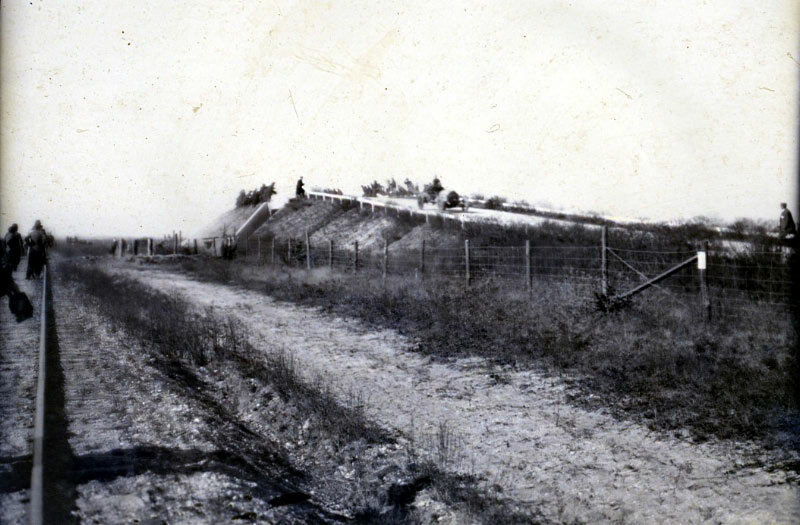 However, the fence posts seen in the 1950s photo were still intact. 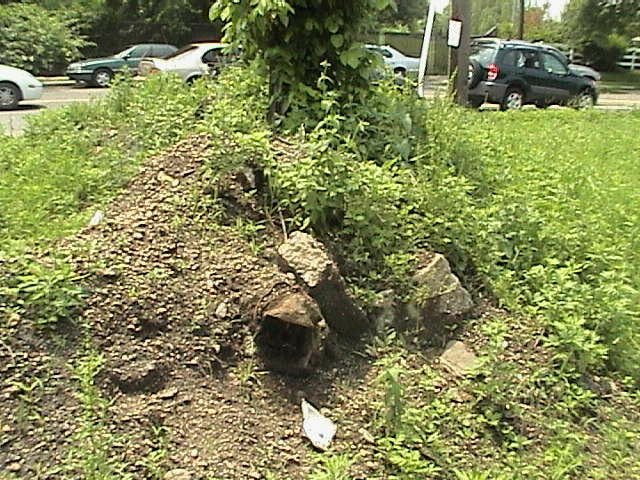 Remnants of the bridge may have been placed in this nearby pile. 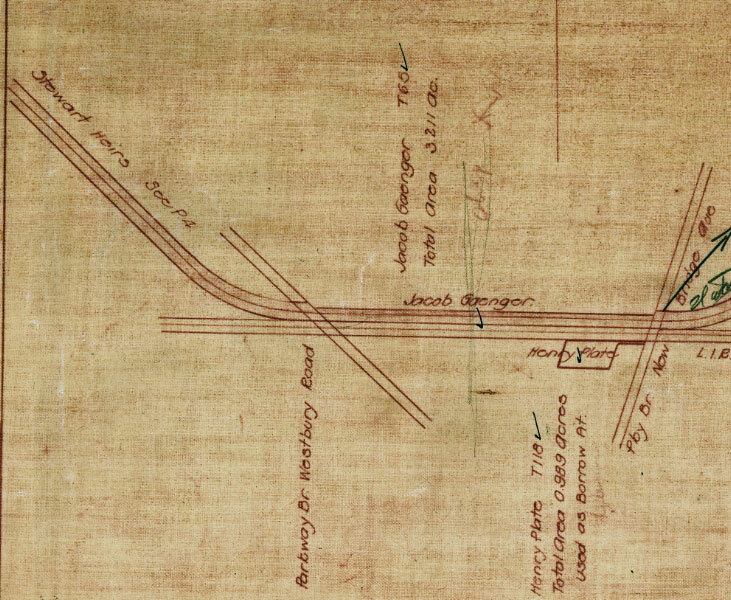 Check out Wayne Consolla's online Motor Parkway map, to find the location of the Westbury Road Bridge. Really enjoying this series on the bridges Howard. I remember seeing some remains of the bridge at the intersection with Salisbury Park Drive back in the 1960’s. 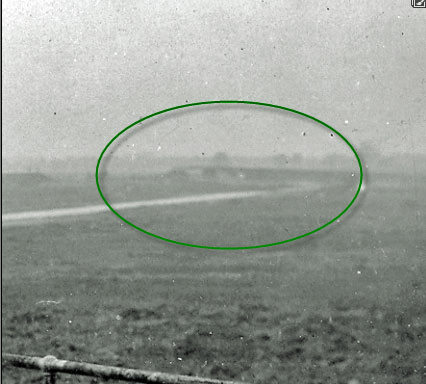 There was also a small section of LIMP roadbed still there at that time. My guess is that the bridge was demolished in the early 1950’s. Thanks for the great photos! My family moved to East Meadow around 1950-1951 and bought a new cape code house at 288 (?) 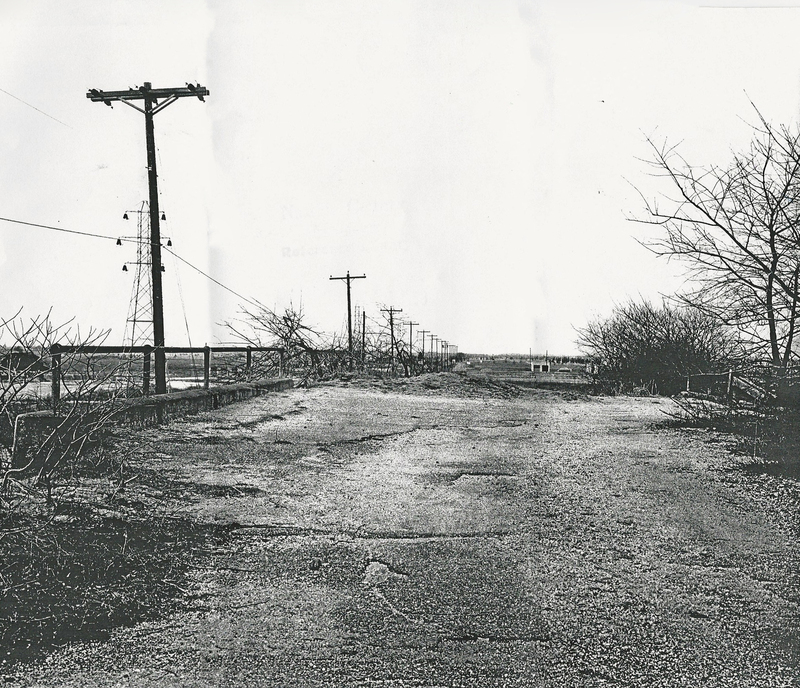 Old Westbury Rd. less than about 1/16 of a mile east of the LIMP #38 bridge. We where one of only two homes out there. Across the road were potato fields and we could see the prison from our front yard. 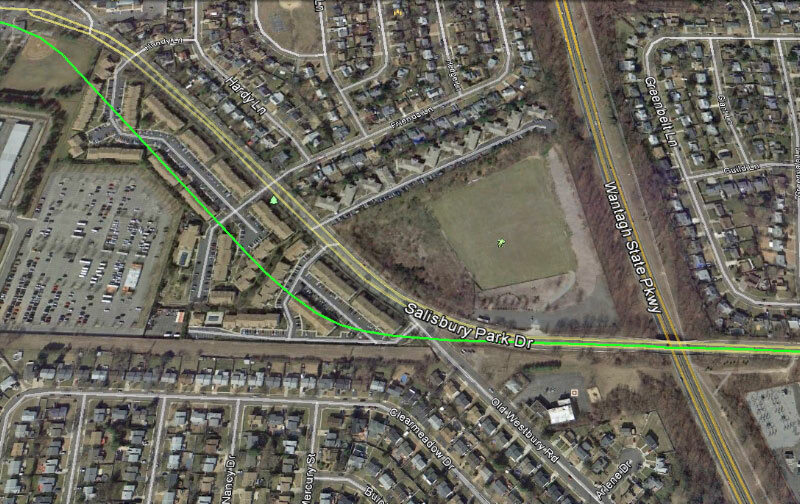 There was a short overgrown auto path that ran from Old Westbury Rd. northeast towards the parkway where people would dump their trash (clothing, washing machines etc.). These where the days of Hoppalong Cassidy and I would play cowboys and Indians alone on the bridge and below it’s east side where stuff was dumped. It was a wonderful place to play.